The PS41 miniature pressure switch has been designed for demanding applications where space and/or price are strong concerns. 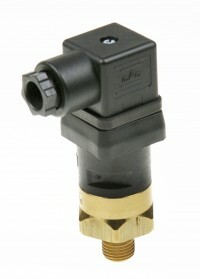 The switches utilise a piston/diaphragm design, which incorporates the high proof pressure of piston technology with the sensitivity of diaphragm designs. Switches are field adjustable via an Allen head screw that is hidden to protect against unauthorised tampering.